As part of a project to publish the wildlife diaries of Edgar Stead (see blogs of 15 December 2010 and 18 January 2010), I am revisiting some of the islands that Stead camped on during the period 1929-1947. The main focus is describing how the ecology of the islands has changed since Stead’s time. The visits also provide an opportunity to take photographs to illustrate the diaries. 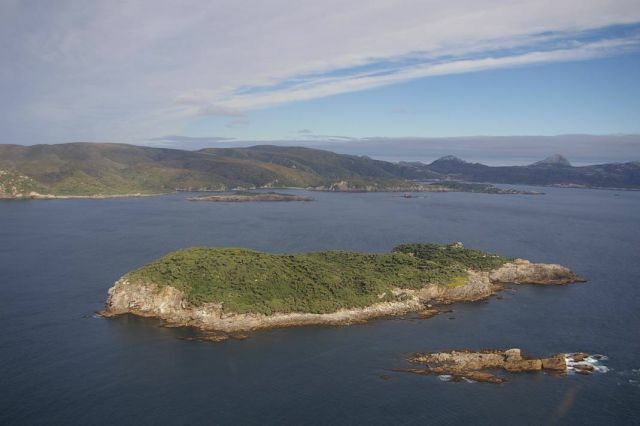 Kundy Island from the north-west, with southern Stewart Island beyond. Photo: Colin Miskelly. 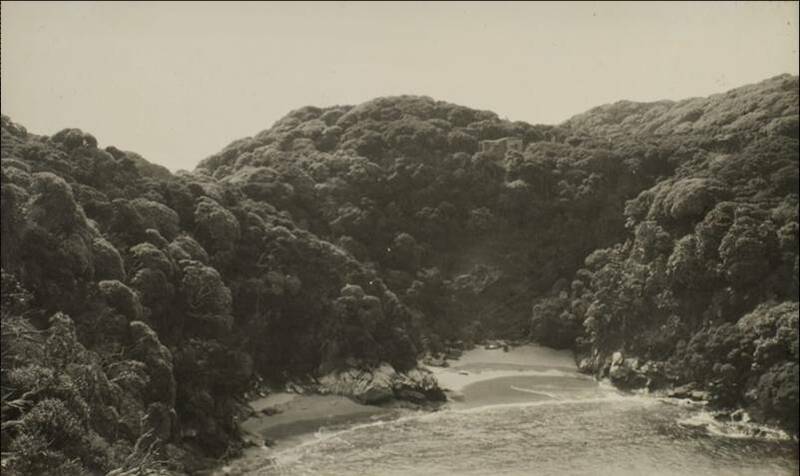 Stead first took a serious interest in the birds of New Zealand’s offshore islands in 1929, and Kundy Island (a muttonbird island off the south-west coast of Stewart Island) was the first island that he stayed on for an extended period, 12 November to 4 December 1929. Stead’s companions on the trip were Eb Hay and Tom McKellar till 26 November, then Major Robert Wilson and Dr John Guthrie; they stayed in a muttonbirding hut belonging to John Morrison of Bluff. 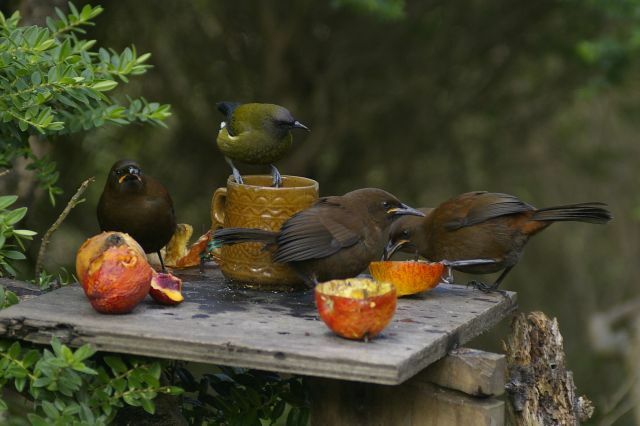 Three jackbirds (juvenile South Island saddlebacks) and a male bellbird at a feed-table beside the Trows’ hut, Kundy Island. Photo: Colin Miskelly. During my visit over 81 years later I was hosted by John Morrison’s grandson Russel Trow (and his wife Teresa), whose hut is placed on the exact location as Russel’s grandfather’s. Cloudy gecko, Kundy Island. Photo: Colin Miskelly. Weka (large flightless, predatory rails) were introduced to Kundy Island by the muttonbirders after Stead’s visit, and they eventually extirpated at least three bird species (white-faced storm petrel, banded rail and Stewart Island fernbird), plus caused huge declines in cloudy geckos (Mokopirirakau nebulosus) and Foveaux giant weta (Deinacrida carinata). The weka were eradicated by the New Zealand Wildlife Service in 1985, allowing reintroduction of fernbirds in 1995 and banded rails (known locally as mioweka) in 1999. 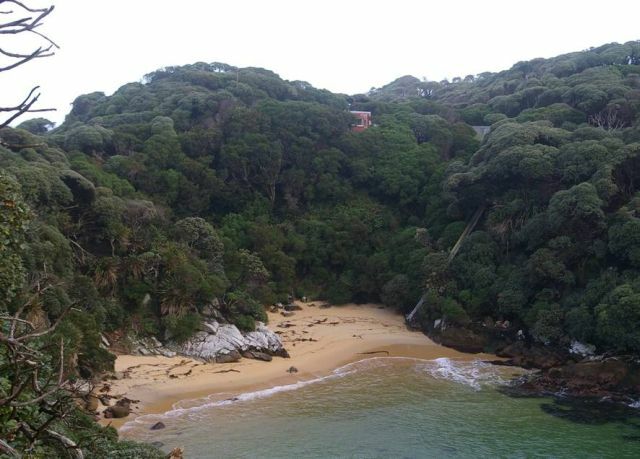 Kundy had previously (1978) been used as a rescue site for South Island saddleback after their final stronghold was invaded by ship rats in the 1960s. Landing cove on Kundy Island, November 1929. Photo: Edgar Stead. Macmillan collection, 2001.59.295, Canterbury Museum. Permission of Canterbury Museum, Christchurch, New Zealand must be obtained before any re-use of this image. 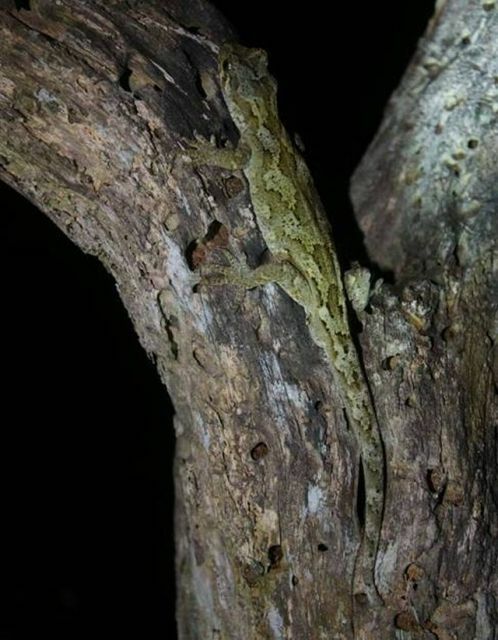 Cloudy geckos have also recovered on Kundy (I saw ten in 2 days ashore), and I also saw one southern skink Oligosoma notosaurus, apparently a new record for the island. The single white-faced storm petrel photographed was the first seen since weka were eradicated, and was possibly a visitor from another nearby island. Landing cove on Kundy Island, March 2011. Photo: Colin Miskelly.